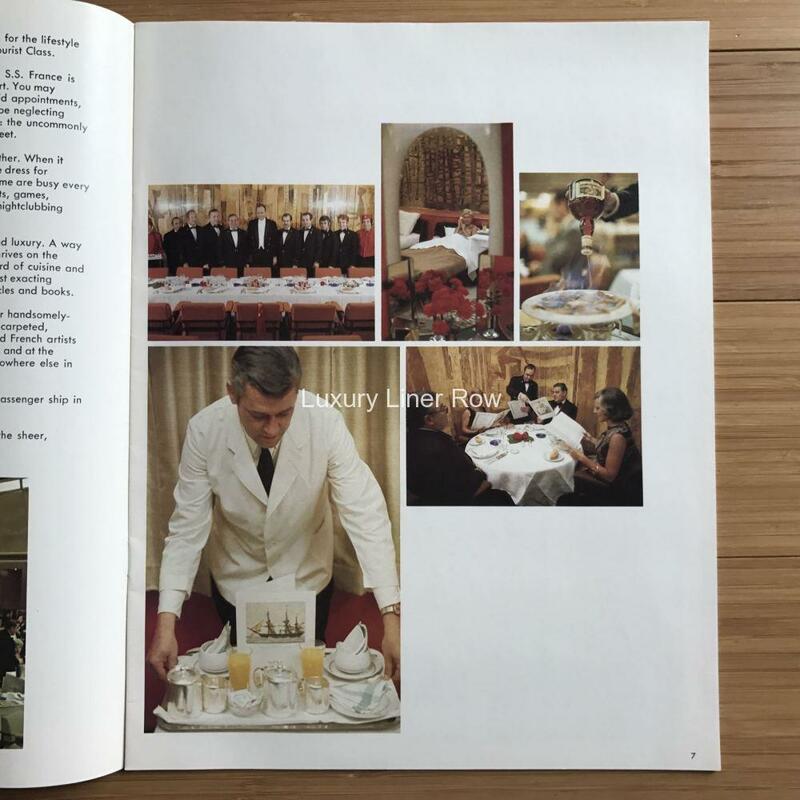 A brochure for crossings on the France dated April, 1974. 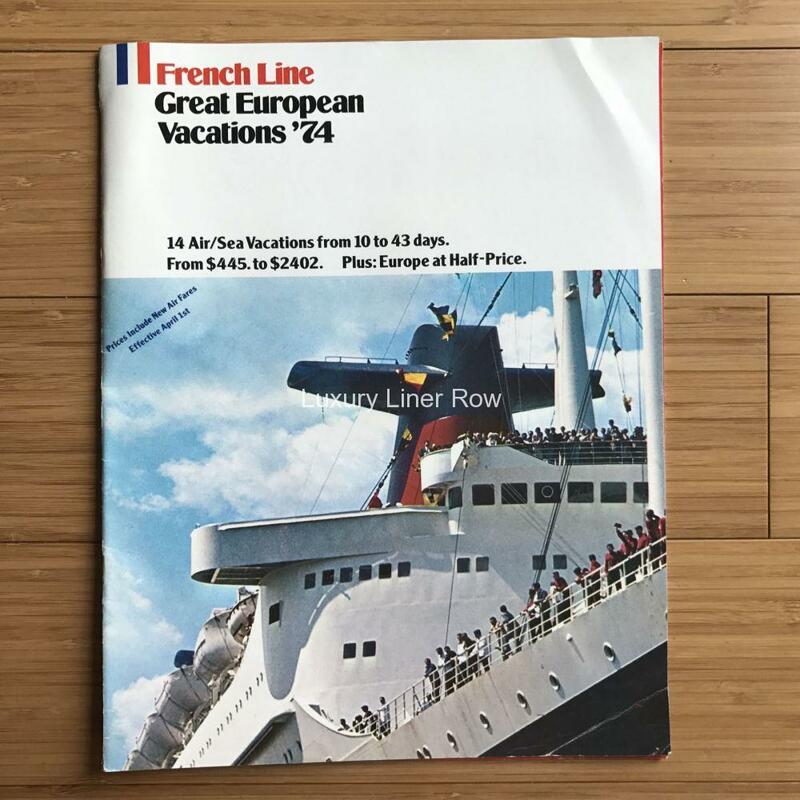 Loads of fly one way and sail the other fares with airfare and first-class travel on the ship coming in at around $1000 per person. 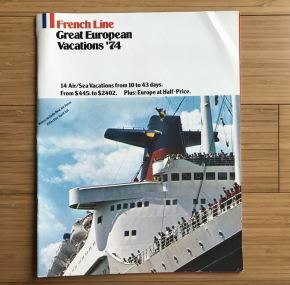 Filled with color glossy photos of the ship and life on board that I haven’t seen elsewhere. In excellent condition. Her sudden withdrawal from service must have been a shock to anyone who loved her.